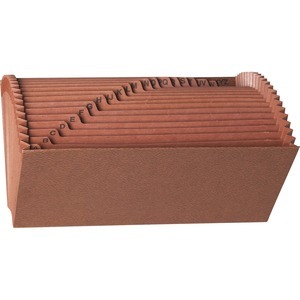 Organize your paperwork using this leatherlike expanding file as a desk or credenza organizer. 21 pockets are labeled A-Z for filing note-size materials in alphabetical order. Each pocket expands to 7/8". Full-height redrope dividers offer a two-ply top for durability. Double-thick front and back panels have a heavy reinforcement, liner board. Full-height redrope gussets are reinforced with Tyvek at the top. 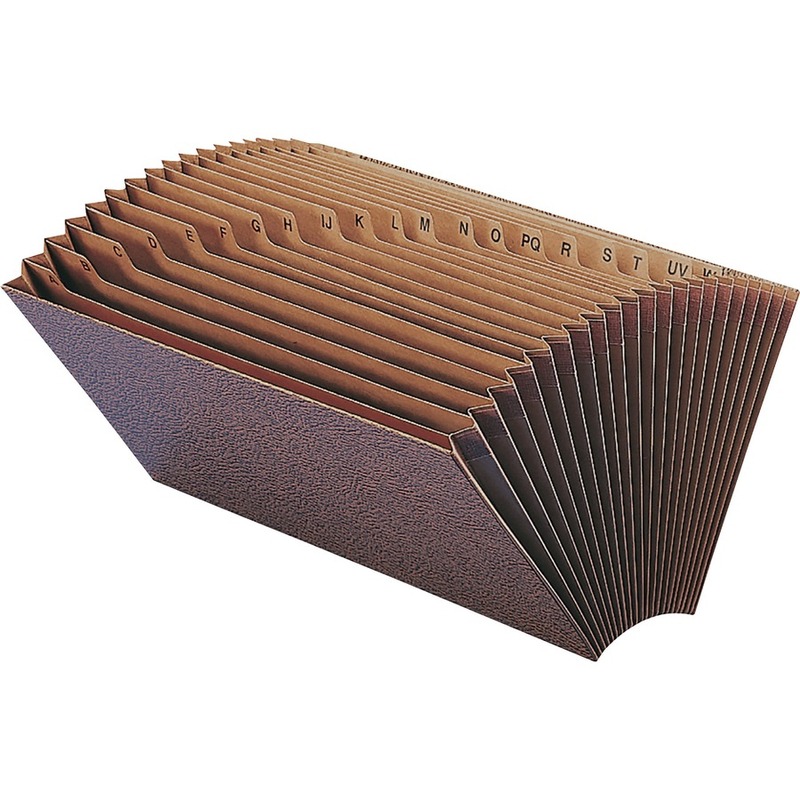 Leatherlike expanding file does not have a flap for easy access to contents.